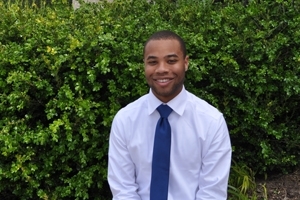 When Justin Morgan (BS public health '16) graduates from American University this spring, he will begin a career aimed at creating social and physical environments that promote good health for all. As a research assistant at the Urban Institute, he will focus on the social determinants of health—everything from access to good food, clean water, healthcare, exercise, workplace safety, and green space. It was through these interactions with his peers and mentors in the FDDS program that Morgan decided to pursue a public health major. And in 2013, he became the inaugural president of the Public Health Association, a student group that creates a community for students majoring in public health at AU. In addition to his leadership on campus, Morgan has immersed himself in the public health field in DC through internships at the Johns Hopkins Bloomberg School of Public Health; the American University Center on Health, Risk, and Society; the Center for American Progress; and the US Department of Housing and Urban Development. Morgan also spent a semester studying abroad in London through the International Education of Students Program. Morgan attributes many of these opportunities to Jolynn Gardner, director of AU’s Public Health Program. “Professor Gardner has connected me with professionals in the field and helped me greatly as I explored career options and opportunities,” he said.